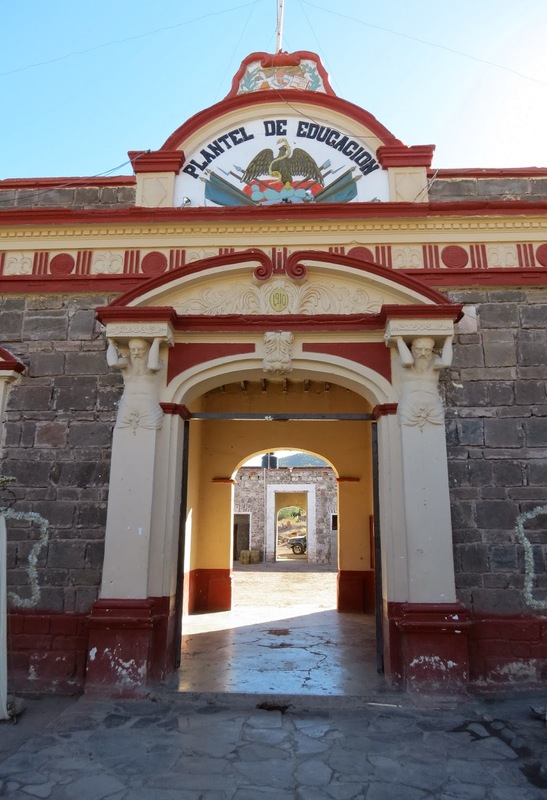 When we drove into San Ignacio to see the old mission, we also toured the town on foot. The mission church is built of lava rock and has walls that are four feet thick. Outside the church is a desert garden with the different plants labeled. A window in the garden wall. Across from the mission is a central plaza. The town of San Ignacio has a population of about 700 people. 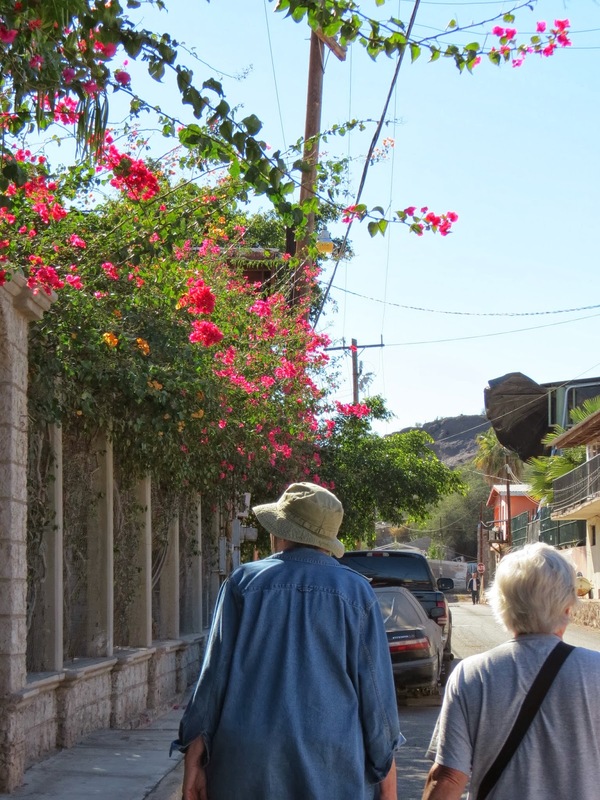 While camping at Playa Santispac south of Mulege, we drove to town a couple of times. We parked outside the town's narrow streets and walked into town to do our business. 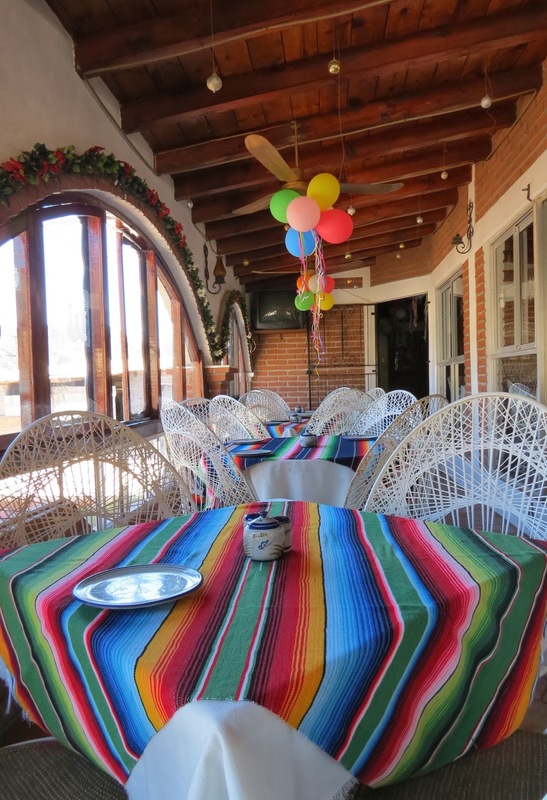 Mulege is situated near the mouth of the Rio Santa Rosalia. We parked outside the gate. 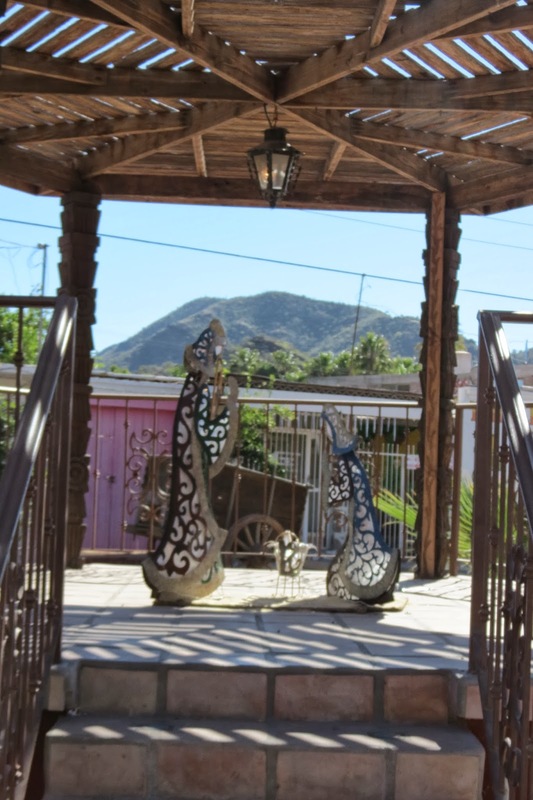 Mulege is a larger town with a population of about 4,000. The streets are very narrow and RVs are not recommended inside the town. Our business involved visiting the bank ATM to get more pesos, and then shopping. One of the shop keepers recommended this restaurant for lunch. Not a bad choice. This was our waiter. I had already had lunch, so ordered flan for dessert...almost ate it all before I remembered a picture. Nativity Scene...the town still had Christmas decorations up. The old prison that is now a museum. The wood in the entry is cactus. Watch your step on the sidewalks....they change level suddenly. Just south of our beach at Santispac is another small beach with what amounts to a subdivision built along the beach and hillside. These photos are taken from my kayak. One of many sailboats at anchor in the bay. 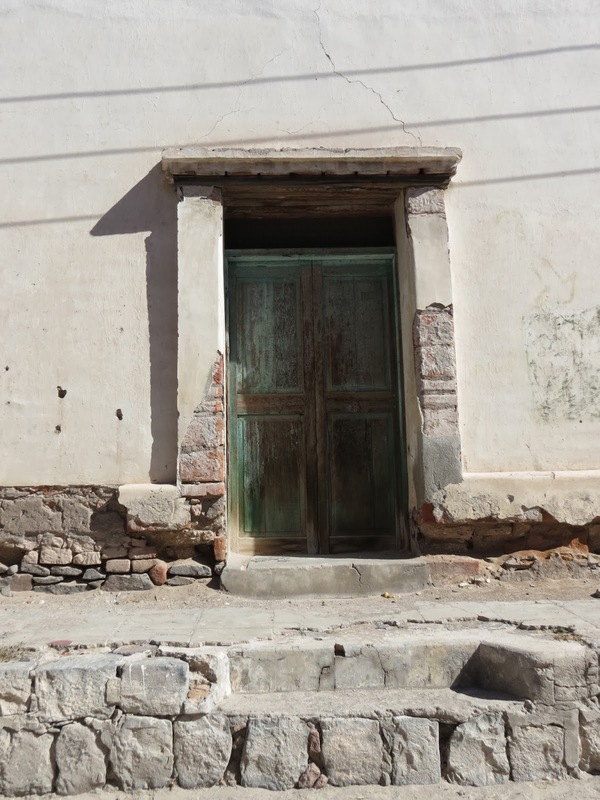 An old house made of adobe. Notice the fresh water tank on the roof. Water has to be trucked in from somewhere else....probably the water purification plant. Solar panels provide electricity. Notice the steep steps down to the water toys. Or, in this case, ropes and ladders. On the other end of our campground beach where we walk the dogs, we found this privately owned complex. It appears to be two homes with a stone wall surrounding both. We think this building with the solar panels on top may be a garage. Inside the open gate we could see a complete whale skeleton, used as part of the decor. Wonder how much that cost. The gate to the second house. Our campground can be seen from here. A wonderful playground that we will return to. We are currently in Loreto, catching up on laundry and with good internet. Beautiful Liz. Looks like lots of RVers on that beach.